Most people are unhappy; and they are unhappy because there is no love in their hearts. The man who is seeking truth is free of all societies and cultures. "There is no path to truth, it must come to you. Truth can come to you only when your mind and heart are simple, clear, and there is love in your heart; not if your heart is filled with the things of the mind." "To know yourself you need not go to any book, to any priest, to any psychologist. The whole treasure is within yourself." All authority of any kind, especially in the field of thought and understanding, is the most destructive, evil thing. Leaders destroy the followers and followers destroy the leaders. You have to be your own teacher and your own disciple. You have to question everything that man has accepted as valuable, as necessary. 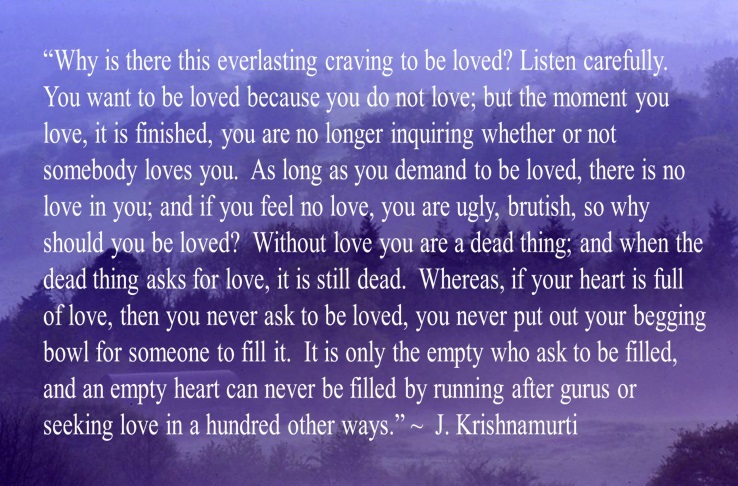 The following statement was written by Krishnamurti himself on October 21, 1980 in which he summarizes the teachings. It may be copied and used provided this is done in its entirety. No editing or change of any kind is permitted. No extracts may be used. 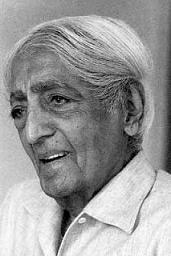 "The core of Krishnamurti's teaching is contained in the statement he made in 1929 when he said: 'Truth is a pathless land'. 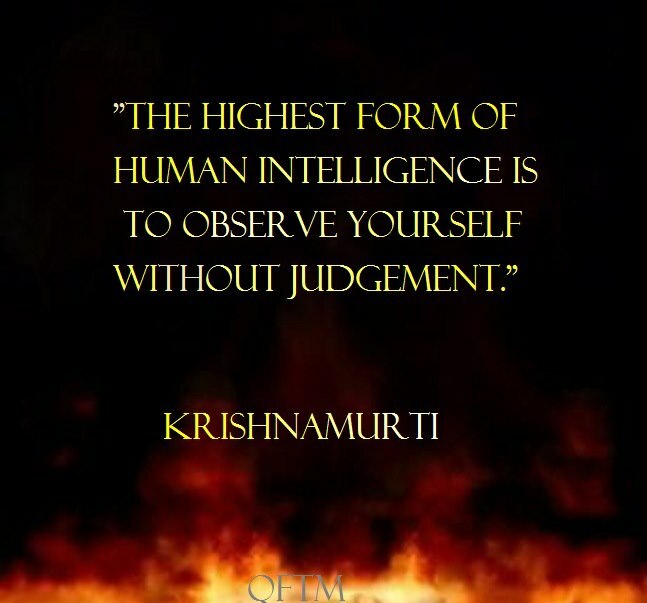 Man cannot come to it through any organization, through any creed, through any dogma, priest or ritual, not through any philosophic knowledge or psychological technique. 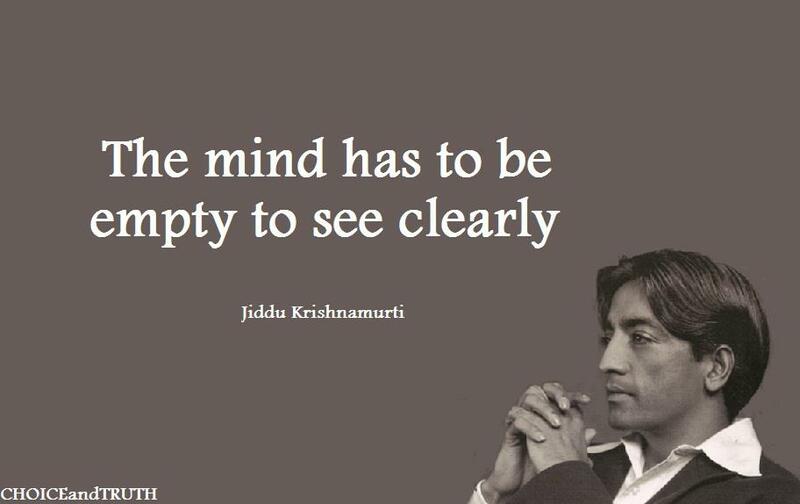 He has to find it through the mirror of relationship, through the understanding of the contents of his own mind, through observation and not through intellectual analysis or introspective dissection. 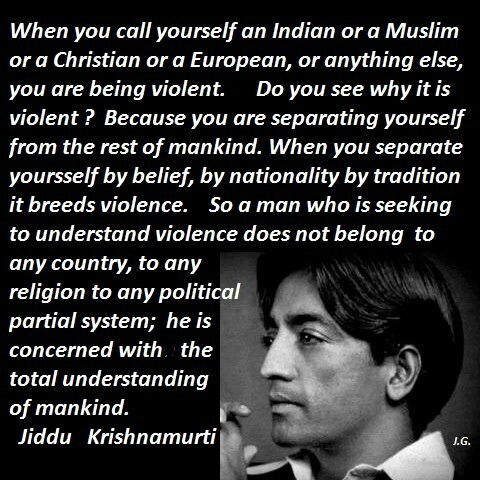 Man has built in himself images as a fence of security - religious, political, personal. These manifest as symbols, ideas, beliefs. The burden of these images dominates man's thinking, his relationships and his daily life. These images are the causes of our problems for they divide man from man. His perception of life is shaped by the concepts already established in his mind. The content of his consciousness is his entire existence. This content is common to all humanity. The individuality is the name, the form and superficial culture he acquires from tradition and environment. The uniqueness of man does not lie in the superficial but in complete freedom from the content of his consciousness, which is common to all mankind. So he is not an individual. in constant conflict and struggle. There is no psychological evolution. When man becomes aware of the movement of his own thoughts he will see the division between the thinker and thought, the observer and the observed, the experiencer and the experience. He will discover that this division is an illusion. Then only is there pure observation which is insight without any shadow of the past or of time. 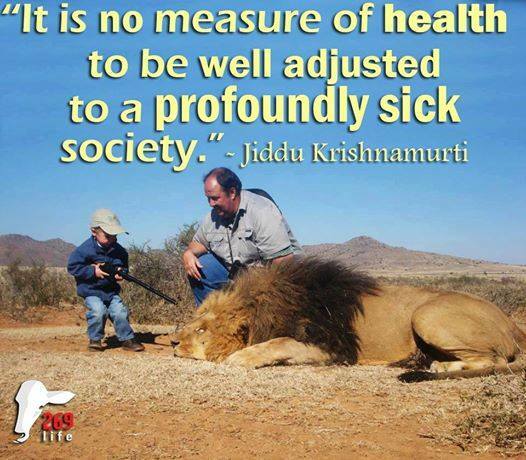 This timeless insight brings about a deep radical mutation in the mind. Total negation is the essence of the positive. When there is negation of all those things that thought has brought about psychologically, only then is there love, which is compassion and intelligence." Brockwood Park, Bramdean, Hampshire, England.